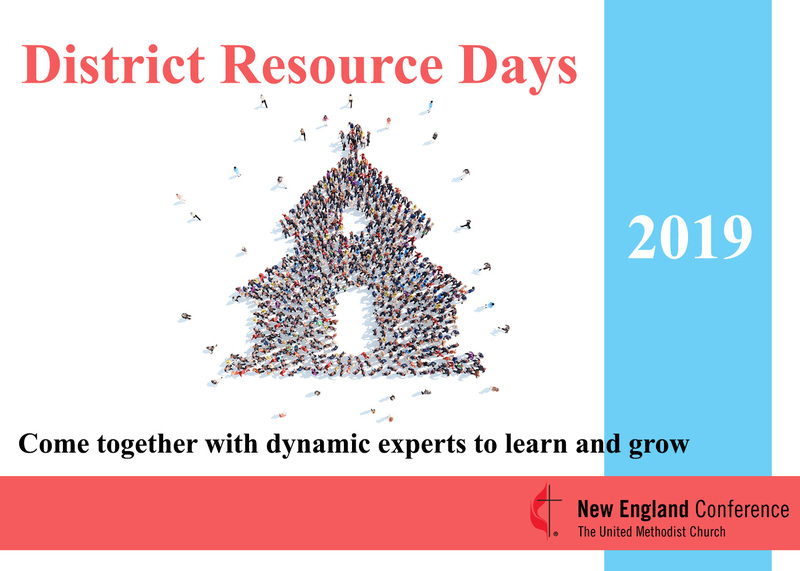 District Resource Days are an opportunity for laity and clergy to hear from gifted speakers and workshop leaders from across New England and around the nation. These experts will offer big ideas and practical tools that can be implemented in your local church context. And we want to share these amazing resources across the Conference. In other words, you don’t have to belong to the host district to participate in a Resource Day. If there’s a workshop leader you want to see who is presenting in another district, by all means attend. The Resource Days are offered as a way to help strengthen the work of your church, and as United Methodists, as members of a connectional church, we know we are stronger together. So we encourage you to take advantage of the gifts and knowledge presented at the upcoming Resource Days – in whatever district they may be held. Links to details and more info along with new events will be added as they become available.